Student Teachers Teaching Through Skype – CONNECT! Over the last couple of weeks, I’ve had the pleasure of being involved with both the Grade 8 and 9 Philosophy classes here at CSS and at Island Pacific School in Bowen Island, B.C. in their study of pre-Socratic philosphy. The classes have been studying the subject together, collaborating using various internet technologies. Because of my background in physics, and I was invited to speak with both classes about the perspective of modern science on the fundamental nature of the world. We discussed some challenging fields in modern physics, including quantum mechanics (and what it says about fundamental particles, the greek atoma) and general relativity (and what it says about space, the greek void). On October 1, I led a discussion with the class here at CSS, and on the 14th, I was part of a similar discussion via Skype with the class at IPS. It was great to collaborate and share my knowledge with teacher Brad Ovenall-Carter, and his grade 8 students 1000 km away! Skype video-chatting allows for a lot of interaction between the people on each end, and despite the fact that I was participating from home, with the IPS discussion taking place during our fall break, connection speed was never a problem. Voices were sometimes hard to hear on the other end, so some investment in audio hardware would certainly be worthwhile where a group is participating. 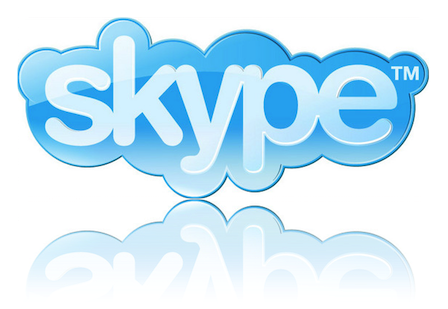 One challenge that I found unique to the Skype conference was that with the bulk of the participants on the other end of the line, it was sometimes difficult to guide the course of the discussion. I often felt that I was sitting in watching a class discussion, rather than being a part of it. Despite the challenges both conceptual and technological, both classes were very successful. For more than an hour, we discussed some very difficult ideas in modern physics. The questions students from both schools posed to me and to each other, and the responses they gave, showed an ability to think creatively and critically. Maybe even more exciting, I understand that for many students, these discussions continued well after the class was over! Thanks to Braddo for mixing the vid. Next Next post: What Role Does the Library Play at CSS?